Kirby and Smash Bros. creator Masahiro Sakurai has a regular column in Japanese magazine Famitsu, and the topic of his latest entry - kindly translated by Source Gaming - is two of 2017's biggest open-world video games: The Legend of Zelda: Breath of the Wild and Horizon Zero Dawn. A week before writing this column, two wonderfully outstanding works were released and I was torn between how to spend my time. Horizon Zero Dawn (from here on out “Horizon”) and The Legend of Zelda: Breath of the Wild (further referred to as “Zelda”). By all means, play them both because they really are masterpieces. He covers points such as how climbing works in each game, how players increase their power and the contrasting visual styles of both titles. Surprisingly, he also refers to Zelda as "tiresome", although he then quickly clarifies this statement by saying that "chores of Zelda are the most fun part" of the franchise in general. It should also be pointed out that this isn't an official translation of Sakurai's column, and it may be the case that something has been slightly lost in translation. He summarises by saying that while these two games each take a slightly different approach, "both are the right answer" and once again states that players should try out both of them, because "so many well-made works lining up like this doesn’t happen often". Have you played both of these games? What do you make of Sakurai's comments? As ever, we'd love to know, so why not craft your own opinion in the comment section below? Please do not put both those games in the same sentence. That's blasphemy. Zelda: BOTW is in a league of its own. But never have any interest with Horizon. I ever saw from my sibling gameplay (He has Black Slim PS4) and I have no interest at all. Even their Ultra HD graphics failed to impress me. Plus, the Western looking characters like that reduce completely my impression to level ZERO even more. Off topics, but i'm kinda interested with Cartoonish looking of Portal Knights now. if by tiresome he means playing BotW for an unhealthy amount of time with no break then I agree, that happened to me a lot too. 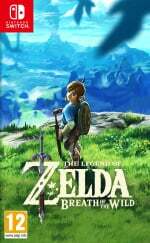 I've played both, and although Horizon is very good, BotW is the absolute better game. After playing Zelda, every unclimbable rock, and invisible wall on Horizon made me wish I was playing Zelda instead. @Gorlokk See now, what did I say negative about Horizon Zero Dawn? Nothing. It's a good game, just not as great as Zelda. I really like reading these columns from time to time. I do it way too rarely tho, really need to try to keep up with that stuff a bit more. That all said tho..I didn't really get into Horizon when I tried it at a buddy's place. But I do plan to try and at least play through the main game at some point. Now that I put 110+ hours towards Zelda I am ready to try Horizon. But the fact I chose Zelda first says a lot. Nice to see Horizon being enjoyed by Japanese gamers. I am waiting for horizon to drop on price before I play it. But I bought a switch and Zelda for both that and Wii U day 1...I wonder which I thought would be better? Not saying it's bad, but I know it won't be Zelda either. I agree Horizon is a masterpiece. Just got the Platinum trophy a few days ago. Horizon is one of the few games that I'd be tempted to get a PS4 to play, but I'd never get one just for Horizon alone. Zelda, on the other hand, was the only game I had on the Switch until MK8DX was released, so I obviously would (and did) get a Switch just for Zelda. I played Horizon while the nephew played Zelda, both very good and equal games. I'll play BotW when I get a Switch end of the year or whenever Mario comes. Played them both, and they're indeed very different. I appreciate the new things Zelda brings, but that game has its own issues. Horizon is more comparable to previous open world games, and as a result it can fall in the same traps of open world games. Nevertheless, it's a great game, and definitely one of the better open world games too. Combat was never as satisfying as it is in Horizon. I've played both and though I've spent more time on Zelda I completely agree with Sakurai. Zelda is great, but so is Horizon. Both games bring the goods. It'd be interesting to have a look at the original source to learn a little more about the "tiresome" remark. The rest of the interview gives the impression that Zelda is more 'tiring' or 'laboured' than Horizon in many aspects - in that it doesn't hand up its resources quite so readily - but doesn't really give the impression of the game being 'boring' because of it (as "tiresome" might imply). Unfortunately, I don't believe Famitsu post the columns online, so you'd need a copy of the actual magazine to check. 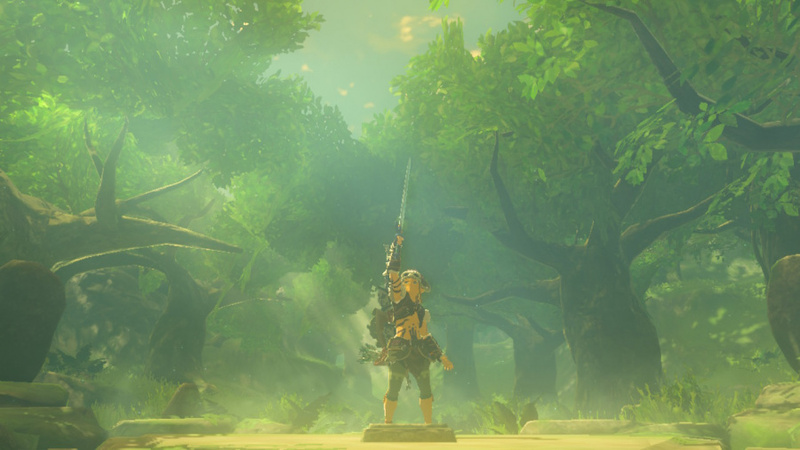 BOTW feel like the first real Open World game with barely any invisible walls. Other open world game sadly suffers from all those invisible walls that make the game more linear. On top of that the other games like to paint the ledges to show those climbable areas. I haven't gotten Horizon yet. I was going to get it day one, but I never did. Kind of just wanting to decompress from Zelda. I don't want to compare them. Lately just been playing games that I can't relate to Zelda in any way lol. Sakurai should make an open world Smash Bros masterpiece. Just running around the open world and beat everyone up... should be fun. Never got around to playing Horizon Zero Dawn. I have like the desire to play it, but it just sort of scares me to play an open world game, nowadays. I played Zelda, and even though I was a pre-existing fan of Zelda, it started to lose me as well. I can't imagine playing something like HZD at the moment. They're both fun games, but I enjoyed Horizon a little more than BotW. Zelda is honestly in a league of its own. Both games lack a bit in the story department. And Zelda is a bit more fun to play, and more of a jump-in kind of game, which is very Nintendo. Easier to pick up. However, I am just grateful, for being able to enjoy both games. I love games. I was so interested in Horizon in the hype phase, but the closer it got to release and the more I found out he less I cared. Many of the Western RPG tropes, dialogue styles and open world design patterns bore me. his discussion has reignited my interest! One day on a sale perhaps! Isn't interesting that PS4 had nonstop AAA exclusives from January - March like it never has? Almost as if they were preparing for the Switch. Also, there were ridiculous PS4 bundle discounts (example: PS4 + UC4 + Controller = $250). I have both, and while I put some time into Horizon, after Zelda, it's very difficult to go back to the former's fenced-in world. But how can I check my playtime with Zelda (Wii U) or any other game? On-topic, I wish MORE important folks from the Nintendo crew would give other developers games a play. Could only benefit from seeing what is happening outside of the bubble. I consider myself to be about halfway through my playthrough of BotW, and it's been over 70 hours. I generally tire of games relatively quickly, but I can't say any of this has felt like a chore. He hits the nail on the head when he says, "both are the right answer". However, for me Zelda:BotW is a masterpiece! I don't have a single complaint about the game. I know others don't share that view, but their negativity doesn't bother me in the slightest because I have been enjoying one of the best games (for me) in history. Horizon is different and that is good. I don't want it to be like Zelda and I'm happy it exists and is making people happy. But at this time, I won't be getting it. I'm also happy that Nintendo is willing to push boundaries, break with traditions and find news ways to "do games". Zelda really was a breath of fresh air. Horizon has alot going for it. From a technical perspective it absolutely is up there as one of if not the best looking 'realistic' art style game ive played. That being said , I got bored of its gameplay structure, so much so that i never actually finished it! For me personally the story was well written but didnt make me care enough to continue to the end. Botw for me trumps horizons gameplay by quite a big margin and i think most who have played it would agree. I went from Horizon into Zelda and, I think they are both interesting, but very different examples of the open world genre. Horizon was, to me, a game that successfully blended an open world with a strong narrative and diverse combat. Stories tend to be hard to get right in open world games but this one nailed it. Zelda, which I am still halfway through, was a larger, slower and far more explorative open world, where the joy was self discovery. Both games are immensly fun, both are beautiful to look at in their own way and both do take their style to the logical conclusion. There are also ups and downs to both. I dont find combat in Zelda very enjoyable but I also found the limitations of the open world in Horizon a bit too restrictive. Zelda sacrifices story for freedom, Horizon sacrifices freedom for story. Both have many open world tropes (towers, fetch tasks, side quests, crafting, hunting) but they do them in different ways. I think it is far to say they are both masterpieces in what they tried to achieve and there is room for both to say that. So far, both my top games for this year. Not gonna lie, I don't really like Zelda that much. It's fine, but Mario Kart 8 Deluxe and Persona 5 are holding my interest much MUCH more. I haven't even finished Zelda. Clicked in here to see the fanboys melt down. Sliggy didn't fail me as 1st meltdown comment. Not that it matters about Zelda v Snorizon, Persona 5 is better than both anyways. I'm eagerly awaiting a time when Horizon zero dawn cost €20. Then it will be mine. I'm a big fan of Guerrilla games. I love Killzone Shadow fall as well. I was the same. It's good. but I feel it's more than a tad overrated. I played it for 60 hours, decided to trade it in. I had enough. It's like the same craic the whole way through. No way am I putting 200 hours into a game like that. I went from BotW directly to Horizon. The first few hours were like 'Why can't I climb this? This would give me a huge advantage at killing this robot!'. All in all, it felt rather limited (coming from the most open Open World game probably ever, that is) and I have yet to return to it (as I'm still busy with P5 and will get back to building cities with Minecraft on the Switch this friday!). Played both for an extensive amount of time. I wouldn't call either a masterpiece, but they were certainly very good. Despite the numerous comparisons between the two, I can't really say I preferred one over the other either. There are things each does better and worse than the other, and I'm 100% glad I played both. I prefer Cartoonish / Anime looking rather than Western realistic style. But, all of them must be Appropriate games (Maximum Rated Teen + some deliberation from me) or I will ban them completely. Don't see the love for HZD. Combat is so dumb down it hurts,A.I is stupid,dumb logic(those robo dinos can't see you hiding in very small bushes,those same robo dinos get distracted by rocks and get hurt by spears.How?) Also too many damn cut scenes. Lol at butthurt Persona fans in the comments. "Hey, Persona is a game too!" @yasin88 The Switch is the biggest threat to the PS4 at this point. The Xbox One is pretty much coasting along with Microsoft all but admiting that they fumbled the football and they have no chance to win this generation. Scorpio is unlikely to change that. And while the Xbox One has enjoyed great western support, many Japanese games have skipped it since the Xbox brand has never made an impact in Japan over the course of three generations. The Switch on the other hand is a threat. Its got Nintendo's IPs which are some of the strongest brands in gaming, its a hot seller right now, third-parties are starting to line up to support it, and unlike the Xbox, Nintendo is still a popular and established brand in Japan. The Switch might not overtake the PS4's lead, but it could deflate them to some degree as the first real challenge Sony has faced this generation. So, I'm not shocked Sony is digging in their heels. The Switch is newer, so it has longer legs overall as well. @MsJubilee Not all robots will overlook you for hiding in tall grass. Many robots, including ones you are introduced to quite early in the game, have tracking components where your stealth doesn't work on them. As for spears, the spear as a weapon was designed to allow for precision strikes to exposed areas or gaps in armor. Aloy is able to use her spear this way, or even in the heat of combat as a last resort effort (which is considerably less effective for obvious reasons). As for dumb AI, you can exploit that in any game. There were many times in Breath of the Wild where I conserved my weapons by just throwing or dropping bombs for enemies to run right into. I haven't played Horizon yet (waiting for a decent price drop), but I'd be surprised if I enjoyed it nearly as much as BotW. While it's certainly a much prettier game (I mean, look at screenshots: Horizon is on its own level visually), I expect just doing stuff in the world isn't nearly as fluid, free, and fun. I love BotW's Souls-lite combat, and the way you can manipulate various physics systems when you fight enemies. I love the fact that you have to realistically arch arrows to get them to go where you want. I love that you can jump off a cliff, pull out a hang-glider, and just soar over forests and along mountain ridges. More than any other Zelda game I've played, it's just pure fun on a mechanical level. With that said, I am looking forward to eventually trying out Horizon, but it's not a priority. @MsJubilee "Don't see the love for HZD. Combat is so dumb down it hurts,A.I is stupid,dumb logic(those robo dinos can't see you hiding in very small bushes,those same robo dinos get distracted by rocks and get hurt by spears.How?) Also too many damn cut scenes." The combat is just as varied if not more so than Zelda. Traps, bombs, different arrows, spear, stealth kills, overriding enemies etc, lots of different ways to take enemies down in Horizon. Also the enemies in BOTW are pretty stupid as well. A number of times I could just get up high on a branch or ledge and drop bombs on enemies one by one and take out a whole camp. Very few games unfortunately have stellar enemy AI. But which one is more masterpiecey than the other? It's nice to see Sakurai having enough free time to enjoy both of these games. The last I heard from him, he was about to crumble into a pile of dust out of sheer exhaustion. @Tsurii Kojima and Sakurai were friends during college, I believe. They both have their trollish sides and put their all into their work. No need to go out of your way to criticize either of them. @Caryslan Yep, especially when you consider it as a portable. If Nintendo 3DS/2DS still has momentum with those graphics, imagine how long of a lifecycle the Switch will have. @R4z0rGr1nd3r Everyone is underestimating the appeal of a powerful portable gaming machine like the Switch. There is a law of diminishing returns for everything, and graphics power past Xbox 360 / PS3 is not all that visible to the average gamer. But having BOTW/MK8 type games on the go is a dream come true for me. @redd214 Never said anything about BOTW. Never compared both of them in my comment. But what i meant about the dumb down combat it's basically the same combat we seen in many games before. Roll roll attack,roll roll attack,roll roll attack and roll roll attack. Rinse and repeat.Yes traps are fun,but you're not gonna use them for everything. You're still gonna start rolling. Also totally forgot about that stupid X ray vision. For some reason devs think gamers are bunch of blind bats. @MsJubilee I know you didn't mention zelda however the entire crux of the article is based on those 2 games and since you only mentioned horizon I was merely pointing out that zelda suffers from the same things. The combat is as varied as you make it. Sure in both games you could just use melee/dodge/melee/dodge but of course that would be repetitive. If you want varied combat than vary what you do. Ive almost finished my platinum in horizon and have collected 586 koror seeds, completed 82 shrines and 3 divine beasts in botw. Both games are the best of this generation and possibly the best games of the last 10 years. Horizon has the best elements of the best current and last gen gameswhile botw is more of a pickup and play puzzle game in an open world that never gets tedious. Its really hard to say which game is better because they both are masterpieces. I'm sick of open world games and shooters but these two games have kept me interested and reinvigorated my love of gaming. Saying botw is better doesn't mean that horizon zero dawn isn't A masterpiece, but I believe botw is the better overall game. At the end of the day, both games are must plays and have redefined gaming. The real elephant in the room is than Xenoblade Chronicles X is better than BOTW and HZD. I've played through both, and I agree with Mr. Sakurai: They are both incredible masterpieces. They're not really similar at all, in "feel" or gameplay, but they both perfect the feeling of exploration, mystery, and open world approach in such different ways. 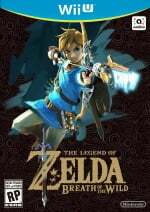 BOTW is no doubt the better game, and despite popular belief it's not because of nostalgia or just because, "It's a Nintendo Game" As no Nintendo game in years have had the same impact that BOTW had, even as good as Splatoon was. Horizon is still a good game in its own style, but playing BOTW feels much more open and free than Horizon. I think both games are great. I played Zelda first though, and going to Horizon after Zelda is a bit difficult. When I can't climb a wall or a mountain, I feel restricted. But both games are masterpieces in their own right, but Zelda is better, except for voice acting. Though I wish both games (and other open world games) would reduce the size of the maps a bit and increase the diversity of enemies. My plan was to play Zelda: Breath of the Wild as well as Horizon... But unlike BOTW, Horizon (as a game) doesn't look like such an unique experience, and for that reason isn't very alluring to me. So I skipped it and now I'm playing Persona 5. Funny how I clicked on the article just by seeing Sakurai. Is it that obvious that I already want a new Smash for Switch? @Nintendian i don't know if you are being serious or not, but I actually like that idea! Maybe make it one of the modes you can play in a standard Smash Bros game! Like Subspace Emissary but better! To be honest I think they're both going for different things and each one has its own strengths. The fact that we have an industry where both can be released in the same week is truly remarkable. 2017 is an amazing year for games all round. I can't get into Horizon. I spent almost 9 hours trying and I just don't like it. The main problem is that world just isn't fun to traverse. With all the robot dinosaurs that attack you with no provocation it forces you to use the plodding stealth mechanics. If they do see you, it turns into a big brawl that takes forever because the dinosaurs take so many hits to kill. It doesn't help that most of the side content is repetitive. Be it the stuff that's copy pasted throughout the world or the side missions that feel so similar from a gameplay perspective. I'm so sick of missions where you follow the glowing trail which is something Horizon does a lot. I'd just avoid them but you have to do them if you want to be leveled enough to take on the main story missions. I think Zelda has ruined me for open world games. Funny I was just in a similar discussion about this only we included Witcher 3. I think Horizon is a wonderful game but it has been collecting dust since Zelda released. Recently got Witcher 3 on PC and while it's kind of impressive to me, the problems with it put it behind both Horizon and Zelda (with Zelda on top!). The debate though was about the hyper realism. Witcher 3 suffers because of the push for realism. Garalt controls terribly even outside of combat and often gets caught on every tree, NPC, and pebble on the ground not to mention Roach is even worse. Not an exclusive problem but just kills the game for me. Aloy has less instances of this but neither can really climb what seems logically possible. Link goes the other way avoiding the pitfall of "realistic" pebbles stopping his every move, climbing practically every surface, and "Epona" is a pleasure to use. TLDR: The point for me was that realism is getting a bit ridiculous and Zelda shows how you can include the good parts of reality without sacrificing the fun of playing a video game. All are great games but Zelda does it right for me. I loved Zelda, and I'd really like to try Horizon, but I hear that the gear upgrade process turns it into a small mammal murder-sim, and I'm not into that. Anyone know if it's possible to get through the game without upgrading your gear? With all due respect, how do you know that? Have you played it? I've beaten Zelda, and I'm working my way through HZD, and I can say (from experience) that they ARE in the same league! BotW is in the top three best Zelda games of all time (in my opinion), but Horizon is astonishingly awesome as well! @Slim1999 I own an Xbox One, so I really don't have any idea what's on the PS4 outside of what I hear about. I refuse to buy another Playstation console after Sony gave Vita owners a middle finger by dumping their support for the handheld and letting it pretty much die everywhere besides Japan. I don't even play my PS3 anymore. About the only Playstation system I still play is my PSP and that's because of the awesome Retro collections and games like Harvest Moon Back to Nature that are on the system. At this point, I'm pretty much Xbox and Nintendo. I have been wanting to get horizon zero dawn but I am still playing through breath of the wild, one open world game at a time. lel? cnt b srs. . .
HZD is easily GOTY material. @Sunnyleafs I would think it is. The upgrades are for carrying capacity, arrows and the like. You can craft arrows on the fly and since that is your main weapon it is doable. You will just have to craft on the fly which the games makes it easy to do. Hmmm might have to try HZD when it's dirt cheap of course. @Mart1ndo For me, it was like an 8/10. Good game, I could tell there was love put into it, but not for me. That's pretty much how every zelda game goes for me though. The only reason I'm not trading it in is because my girlfriend bought it for me as my first switch game. This has got to be the nicest comparison of these two games ever publicly made. The definition of toxic would be the comment section of an article like this on IGN. Easy comparison. One is a Zero, the other is a Hero. But seriously, Sony screwed over Guerilla Games big time. Releasing the same week as BotW was a really bad idea. Either preempt it or wait until fatigue sets in. Just because their name is Guerilla, doesn't mean they can barehandedly wrestle a real 800 lb. Gorilla. @DJKeens It's worth mentioning that CDProjektRed is a much smaller company than Nintendo (so they can't weed out every problem as readily), and Witcher 3 is meant to be more cinematic throughout the many story bits, while BotW is cinematic for maybe up to 1% of it's whole adventure. Completely different design philosophies, despite being considered to be within the same general genre. Also, you never get to see Link boning Zelda. @PlywoodStick I can accept the small studio woes but a cinematic experience shouldn't trump the gameplay. Cinematics should be in addition to not in place of. But my point ultimately is that realism can get in the way of gameplay as is apparent in Witcher 3 but it is by no means the only example. Elma: Well designed and good looking, yet stoic and dedicated soldier who seeks the greater good of humanity's bastion on the extraterrestrial frontier. Generic MC: Looking totally confused about why they're even there, herpa derping with their dumb, ugly face and shattering mirrors for a living. ...I'm sorry, why wasn't Elma the main character again? Xenoblade 1 was better than X.
I got bored with HDZ after a week. Very overrated in my opinion. Now Nier that's where the fun is. @datamonkey Exactly what I have to say, except the fact that I am missing two trophies on Horizon to get my platinum trophie. I'm just waiting for a chance to come across a Switch so I can buy it. @SLIGEACH_EIRE clearly you haven't played Horizon. @msvt on Wii U, it's a stand alone app called Daily Log. All your platime will be in here broken down either by day or per month. In fact I have been plaing both games since the launch. When I saw this article, I had to comment, since from the beginning, I have thought that it's hard not to compare these 2 games, since in a way, they feel very similiar, but are still very different games of course. Due to the fact that that they feel similiar, I have to say I like Zelda more and at first especially, when Zelda came little later, it felt like it started to overshadow Horizon. Since then though, both games have been great to play, Zelda may be little better, Horizon is definitely great game with unique feeling and story setting. I wished Horizon was also on a Nintendo device. I am sure I would have loved that one too. I would love to try horizon zero dawn, when is it releasing on Switch? Horizon is no where near the league of the Legend of zelda. Even though Horizon is a good game, but Zelda botw is legendary. Pfft... Persona's a game too you guys. Zelda's fun and all but Persona 5 will probably be my GOTY. This is correct, they are both masterpieces and vastly different in some ways. I'd argue that the art style, world, exploration, and wide variety in Zelda is better than Horizon. However the story and combat is better in Horizon. Either way both were amazing. I'm sorry if asked or should be obvious. What is that armor in the screen shot? @PlywoodStick I don't think Breath of the Wild affected Horizon sales much, if it all. The amount of people that own a PS4 and a Wii U, or realistically a Switch, is small. As much as I wanted to love Breath of the wild, I never got very excited about much in the game. I've easily played about 80+ hours, but I still felt generally unimpressed. Perhaps I'm just getting more hard to please as I grow older and have less and less chances to play video games.